The Windows Phone Store is missing quite a lot of apps just now, and although we’re not all hipsters with a compulsion to take a square photo before filtering and sharing, Instagram has been mentioned ad nauseam as the sort of app Microsoft needs on board if its fledgling ecosystem is to go the distance. 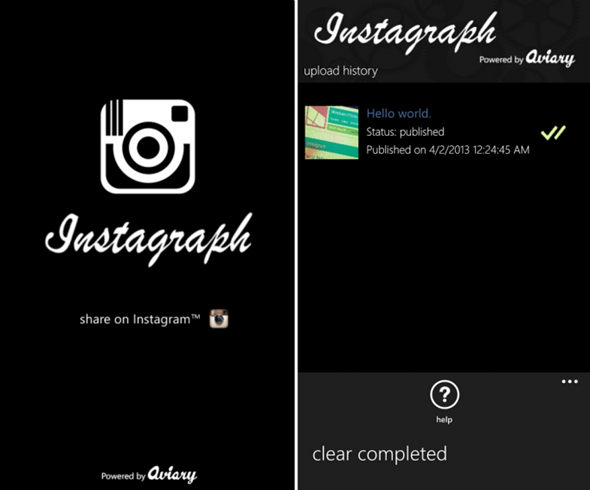 As Windows Phone users still continue to wait and hope for an Instagram app, and unofficial offering by the name of Instagraph is best attempt we’ve seen at emulating the experience, allowing for photos to be uploaded to the network right from within the app. It looks promising, and although we had better hold off the celebrations while the approval process runs its course, Windows Phone users could be just a short while away from being able to edit and upload their images straight from their handset. The app has been written by Venetasoft, and although the developer has been somewhat coy about how the process actually works (Instagram has not given the company any kind of privileged API access, after all), it looks as though it involves an Azure server-relay system. You take / select your image, apply the relevant edits, and your post subsequently runs through Venetasoft’s servers, and after a delay while the process runs its course, your photo magically finds its way onto your Instagram account. Far from ideal, it’s a very clever solution, and if it manages to pass Microsoft’s moderation system, it will most certainly do the trick until the point an official offering arrives for Windows Phone. At this point in time, Instagram only offers API access for the browsing of files, but with a Web version now available to all and any, that’s not a great deal of good. Another issue supposedly solved by Instagraph, is that of signing up to the service. Currently, the Web version is just a viewing / commenting medium, and the API offered to Windows Phone devs prevents users from being able to create an account. Thus, at this point in time, an Android or iOS device is needed for a user to claim a patch of the Instagram landscape. 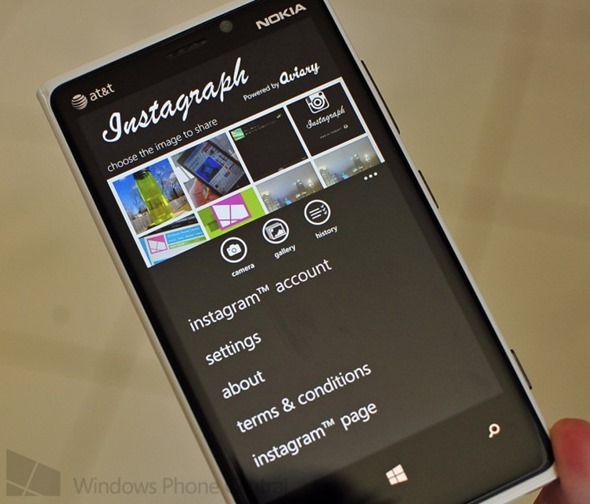 But Instagraph is also said to be ironing out the bugs on another middle-man implementation which would, in future, allow Windows Phone users to sign up without having to borrow a Galaxy S III or iPhone 5. It’s early doors, and with these kind of workarounds nearly always seeming to fade as quickly as they pop up, it would probably be jumping the gun to tout this as a legitimate Instagram stand-in. Still, it’s one to look out for, and if it does manage to slip through the net, we’ll be sure to give you guys the heads-up.